Your physical therapist will devise a specific treatment and exercise program for you that will use the benefits of aquatic physical therapy. These treatments are also one on one. 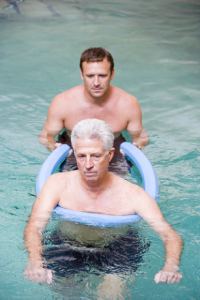 You do not need to know how to swim to participate in aquatic physical therapy.